Non-life insurance players in India, despite the continuous slowdown, expecting a growth in gross premium collection in the current fiscal year ending on March 31, 2015. The estimated growth is 15 per cent, 3 per cent higher than the previous fiscal that ended on March 31, 2014. The industry has witnessed gradual slowdown in previous years due to lower economic growth, reduced car sales, and lower hiring by companies which drive the corporate health insurance business. 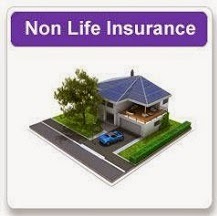 The non-life insurance sector registered 12 per cent growth in fiscal year 2013-14. In fiscal year 2011-12, it was 23 per cent, and 19 per cent in fiscal year 2012-13. “The growth momentum is likely to pick up in the second half of this year since the economic slowdown has bottomed out last year," ICICI Lombard General Insurance MD & CEO Mr Bhargav Dasgupta told reporters. “I expect the growth of the non-life insurance sector to be around 15% in the current year driven by improvement in economic growth," he added. “The non-life sector would grow by 15% in 2014-15 driven purely by health and motor insurance businesses", a senior official at Oriental Insurance company said. Leading the non-life insurance sector, the motor insurance business for fiscal year 2013-14, accounted to 46 per cent of total gross premiums. While, the health insurance business contributed 26 per cent, to be the second largest in the non-life segment. Private sector players saw business growing at a faster rate than for public sector insurers.